A few months back, I labeled the movie, The Big Short, the scariest movie you will see all year. I still stand behind that statement, but if there was ever a supplemental film to show how terrifying that subject can be, it is 99 Homes. 99 Homes is based on the true story of how a recently evicted single father, went to work for the real estate agent who enacted the eviction, and soon learned the business and corruption that went along with it. Based in Florida, which proved to be one of the hardest hit areas of the housing crash, 99 Homes intimately shows the agony and heartbreak that goes along with losing a home. Every single eviction scene is as hard to watch as any violence in today’s cinema, especially for anyone who has had financial difficulties in recent years. Lead by one of the most consistently underrated actors working, Michael Shannon, as well as Andrew Garfield, we are intensely drawn into two completely opposite worlds. Shannon plays a real estate mogul, Rick Carver, who makes his money serving eviction notices for the banks and mortgage holders, but also identifies ways to make money in these situations and those who are suffering from the hardships. Andrew Garfield plays Dennis Nash, an out of work construction worker who is desperately trying to keep his son and his mother in the house he grew up in. When lack of work and economic hard times cause him to fall behind on his second mortgage, soon Rick Carver ends up on his doorstep to enforce the eviction. Nash soon goes to confront Carver and members of his crew whom he suspects of stealing his construction tools. This confrontation soon leads to Nash doing small work for Carver. Before long Carver takes Nash under his wing, teaching him his business. Through many conscience and moral contradictions, Nash begins to enjoy his new found income and forgets where it all started. Near tragedy makes Nash come to his senses and lets his conscience allow him to do the right thing. The film is driven as much by its gut wrenching story as it is by the incredible performances from Garfield and especially Shannon. Shannon has quietly become a force in whatever film he seems to be working on. He has even managed to single handedly save films like he did with The Iceman. While this film clearly did not need any saving, Shannon without a doubt put the brightest shine on the a wonderful and powerful film. As well as Shannon, Andrew Garfield showed his talent, that many knew was there from, The Social Network and other lesser known films as opposed to movies like the Spider-Man re-boots. This is a great actor with incredible range and needs to be used in that sense. It takes great talent to be able to hold your ground and shine when acting alongside people like Shannon and Laura Dern. Garfield does that with what appears to be great ease and no uncomfortableness. Fans of powerhouse dramas and stories with depth and meaning will undoubtedly be entranced with 99 Homes. It is a perfectly acted and executed film that was clearly overlooked most of award season (aside from Shannon’s Golden Globe and Spirit Award nominations). As I had previously said with The Big Short, this film is not for the faint of heart, it’s display of human emotion and the callousness of those willing to profit on it may leave your head spinning, but it nonetheless is something that needs to be shown in the light of reality. Anyone who watches A&E with the least amount of regularity will at one point have seen a story or special on Richard Kuklinski. He is without a doubt the most well known mob hit man in the modern era. Known to the world as the Iceman because he seemed to have no fear or conscience anyone could identify. It took many efforts and attempts to make a film based on his actions and time as a hit man but it finally happened. 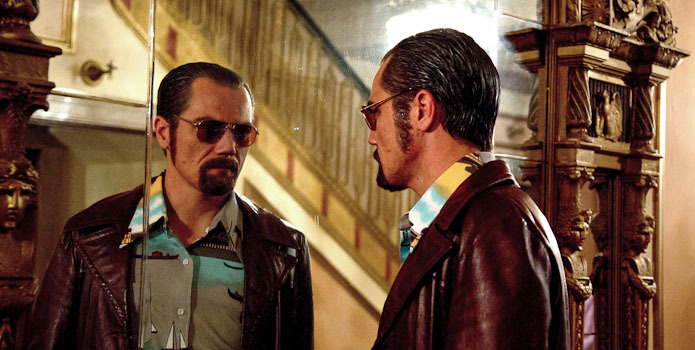 Cast in the role of Kuklinski was the tower presence of Michael Shannon. Shannon is a name that if you don’t already know, you should learn very quickly. He is a face you have no doubt seen, such as his role in HBO’s Boardwalk Empire or Sam Mendes movie Revolutionary Road, for which he received an Academy Award nomination. The Iceman tells the story of a young Polish man who stumbles into the world of organized crime as a contract killer because of his knack for the trade and ability to not get caught. His ice cold demeanor helps him in this job. Tidbits of his childhood are explained which let’s one in on why he had the aptitude for the job that he did. Kuklinski loves nothing and cares for nothing except his wife and 2 daughters. When that world slowly becomes threatened things begin to go terribly wrong. Michael Shannon is one of the best actors working and based on his past work from his big screen debut in Groundhog Day to The Iceman, he without a doubt enjoys challenging himself. He takes the character in and finds what makes him tick and preys on that. The complexity he can give is second to none in the business. Not to be outdone is Winonna Ryder who plays Kuklinski’s wife who turns in a performance unlike she has in many years. Ryder has almost been put on the back burner in Hollywood when at one time she seemed to be headed for the very top. She has taken smaller roles and in this case truly immersed herself. With a few surprise appearances from actors like David Shwimmer and James Franco, The Iceman has it’s truly chilling moments. You are left with the incredible thoughts that a human could have a warped way of thinking while trying so hard to be such a loving husband and father. The Iceman, if anything, showcases Shannon’s talent, not unlike Take Shelter did for him. It won’t be long before this man’s name headlines movie marquees or better yet, he has a gold statue in his hand. Independent film has really become a film and awards season force in the recent years. 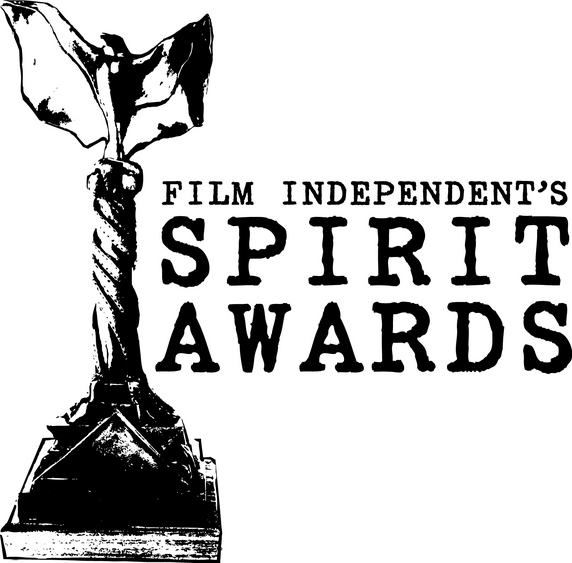 The Film Independent Spirit Awards for quite some time has been the ANTI Oscars and yet it seems that the Oscars has finally caught up to what independent film fans have known for a long time and that is, money and marquee names don’t necessarily make a great movie. Yesterday the independent got together and honored it’s best and things went as they have for most of the award season with The Artist playing the star. It’s a night that is what it should be, a big party and celebration. The winners are quick to remember that without independent film most of them wouldn’t have gotten their start. Best Supporting Actor is one step away from being pretty much a clean sweep for Christopher Plummer in the Beginners but it was non the less nice to see people like John Hawkes get much deserved recognition for their work. Shailene Woodley took home best supporting actress in a much deserved win for her very powerful role in The Descendants as the daughter who has to help her dad through the most topsy turvy time in his life. It was so great to see Michelle Williams finally get honored for her incredible portrayal of Marilyn Monroe in My Week With Marilyn. It’s been a year where she has had to stand in the shadow of Meryl Streep and Viola Davis when she deserves to be mentioned right next to those women. The Artist then continued it’s onslaught on award season when Jean Dujardin won best actor over a very under rated and great acting job by Michael Shannon in the very epitome of an independent movie, Take Shelter. The Artist rolled the rest of the night with Michael Hazanavicius winning best director over the king of independent film and one who continues to be a force in that world, Woody Allen. And the final award once again went to The Artist which most likely will take the big prize on Sunday. Every now and again an actor takes his career on an almost perfect journey and you can see them become a better, wiser actor in the process. Anyone who remembers Michael Shannon as far back as his bit role in Groundhog Day, has seen this happen to him. Early in his career he took roles whose purpose was purely to act and not necessarily all that selective, but hey, an actors gotta work. No one would have watched Kangaroo Jack and predicted that he would be one of the best and most under appreciated actors working today. He was and is a hard working actor that has since proved his ability to make his mark in a film and now carry one on his back. It wasn’t until 2008’s Revolutionary Road that people really started realizing his great ability as an actor when he played the mentally challenged John Givings for which he received and Academy Award nomination. 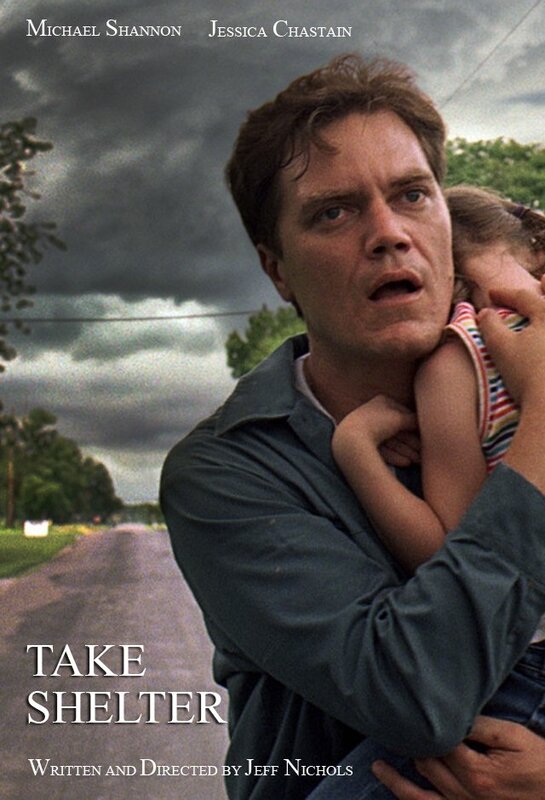 Michael Shannon has hit an all time high in his latest film with director Jeff Nichols. Take Shelter is the story of a hard working family man named Curtis who begins having dreams and at times what he feels are visions of the beginning of the end of the world. Unknown whether he needs to protect his family from these events or if he is the danger. His attempt to learn about what is happening leads him back to his schizophrenic mother and to a doctors office. After his actions and feelings cost him his job and quite nearly his family he begins to accept the help his wife pleads with him to get. While the film is not one that will appeal to a wide variety and almost certainly not to the casual movie goer, it is non the less engrossing and, in a sense, addictive. Take Shelter is one of the most over looked movies of the year and certainly so is Shannon. While it was a massive hit on the festival circuit, commercially it wasn’t a hit by any means. With beautifully directed dream sequences and lead acting roles with Shannon and Jessica Chastain as his wife, it will pull you into his life and visions having you question what the truth is the whole time. You are side by side with the main characters feeling what they feel through the extent of the entire film. The art house feel will not appeal to all but truly is a film just short of true cinematic brilliance. It is a movie that should be given it’s due justice and given a chance by all fans of fine movie making and anyone who wants to witness what most likely will be one of the best actors for years to come. Look for this one to be a major player at the Independent Spirit Awards the night before the Oscars.